The Rocky Mountains form the backdrop to an historic and adventurous journey through the state of Colorado. Enjoy the wildlife and scenery of Rocky Mountain National Park. 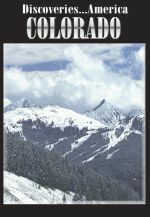 Take a ride on the cog railway to the top of Pikes Peak where �America the Beautiful� was written more than 100 years ago. Visit Colorado Springs Garden of the Gods. Discover Denver�the �mile-high city� for a �Taste of Colorado� food fair, and visit Winter Park where ski runs become mountain bike trails in the summer. In the small town of Meeker, join a Sheepdog Championship that pits man and dog against some tough and wily competitors. Take a guided tour of the sandstone cliff dwellings in Mesa Verde. All aboard in Durango for a journey by steam locomotive through the mountains to an historic railroad festival. Catch spectacular trout and experience whitewater rafting in the Black Canyon of the Gunnison.